Hope has given Peter strength through many tough times. 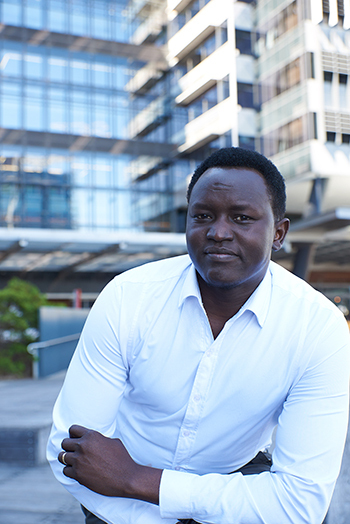 As a child, Peter escaped the Sudanese civil war, then was raised by his father in a Kenyan refugee camp. “It was very hard in the camp,” he says. At 19, Peter came to live in Australia. He worked in factories and later studied at university. As a graduate, it was hard to find a job opportunity until he joined the Brotherhood’s Given the Chance program. He learned interview skills and was mentored by the team who put him forward for jobs. In 2017, Peter secured a role as a Service Consultant for Commercial Cards at ANZ. His positive mindset and supportive people enabled him to overcome the barriers he faced finding decent work. Help us continue to change lives for people like Peter this Christmas. Please donate today.